So, Halloween has come and gone and we move into November. The weather is getting colder, and we start thinking about Thanksgiving. Looking for some great wine to enjoy with the big feast, or some chilly night when you tuck into some comfort food? I bring you my November wine picks to give you some ideas about some good bottles to enjoy this month, along with some wine pairing ideas. 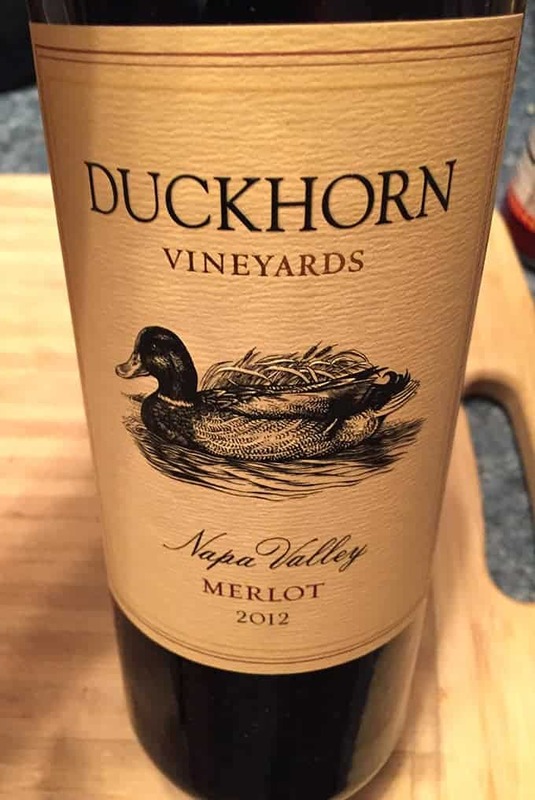 I will talk more about wine for Thanksgiving as the month proceeds, but I will lead off with some wines that could be good picks for Thanksgiving, followed by some other wines you might enjoy. 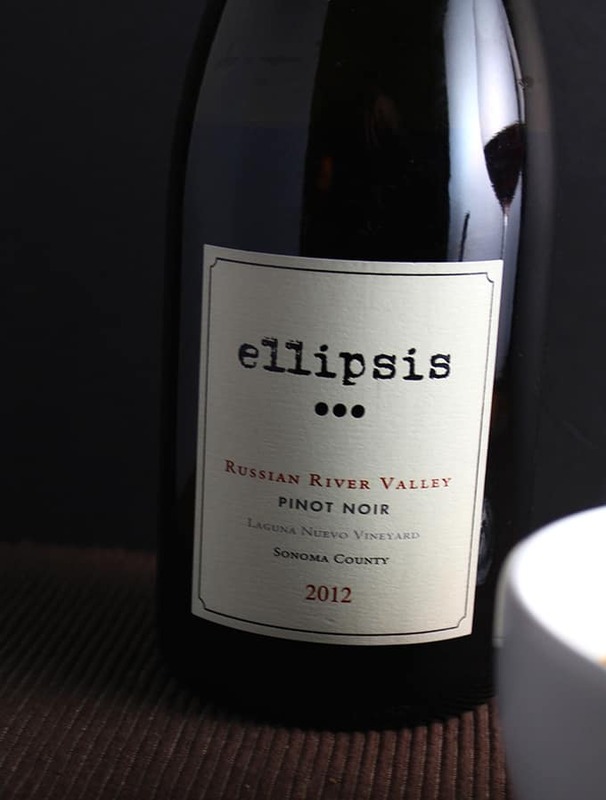 2012 Ellipsis Pinot Noir from Sonoma County. I tasted chocolate and strawberries on this–sounds like dessert, eh? But it wasn’t sweet, just tasty. Hard to find a pinot this good for $20 or less but here you go! I like Pinot for Thanksgiving, and this may well wind up on our table for the feast. 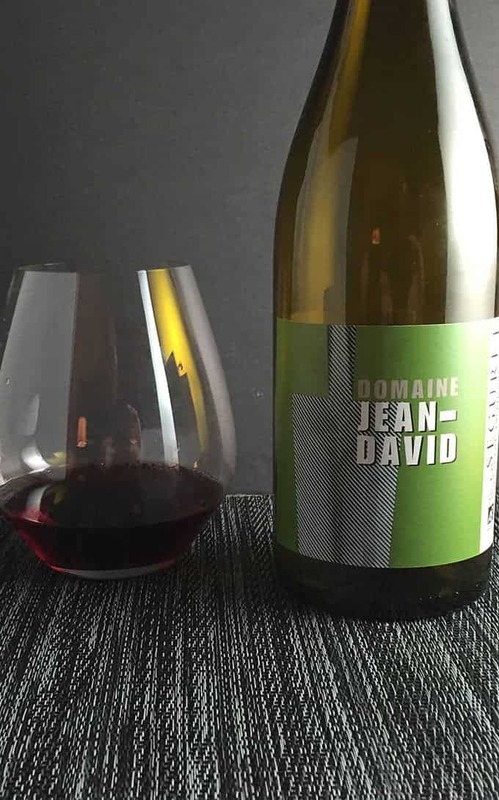 2012 Domaine Jean-David Côtes du Rhône-Villages Seguret ($25, 14 – 15% ABV) I get roses on the nose of this wine from Domaine Jean-David, a small producer in the Southern Rhone. Jammy blackberry fruit, and a little rustic edge. Great mouthfeel and finish. Though I use the word “rustic” in the description, it definitely has an elegance to it. A great wine for the price. This was an excellent pairing for our to pair with the Rustic Chicken and Sausage Stew. I can’t vouch for the pairing, but think this could potentially be an interesting Thanksgiving wine pairing. It was one of my favorite wines from the past month, which is why it was featured in the photo at the top of the post. 2013 Enkidu Russian River Valley Pinot Noir ($26, 14.3% ABV) I actually still have this on my wine rack as a potential Thanksgiving wine choice, but I did get a chance to sample before buying. Didn’t make notes other than remembering I look forward to opening it! 2015 Badenhorst Secateurs Chenin Blanc ($15, 13% ABV). This wine from South Africa has nice fruit and minerality, and could be a good, affordable Thanksgiving option if you would like to pour a white wine. 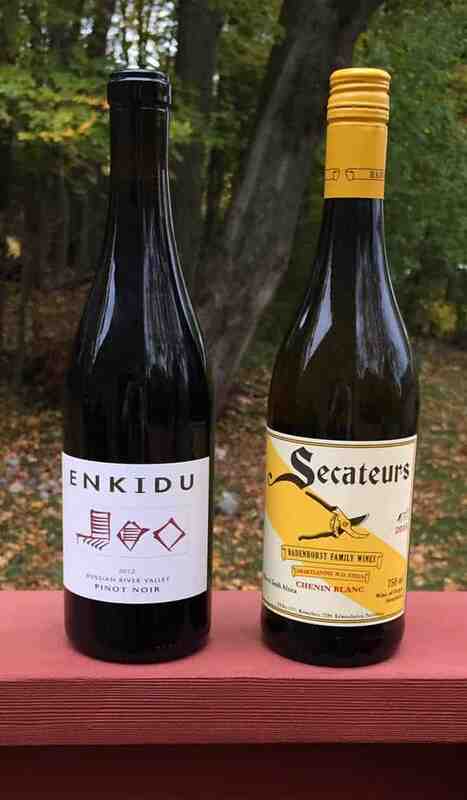 For more Thanksgiving wine picks, my 10 Pinot Noirs for Thanksgiving from last year can be a source of ideas, though you might need to try the more recent vintage from many of the producers suggested. 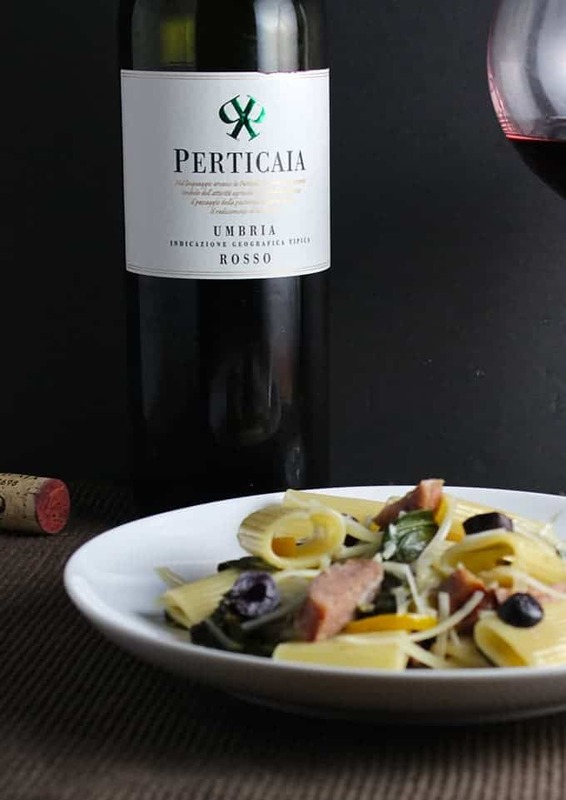 2013 Perticaia Umbria Rosso ($14, 13% ABV). This Italian wine from Umbria is a blend of 80% Sangiovese, 10% Colorino and 10% Merlot. I get fresh berry on the nose. Fruit forward taste, with a bit of duskiness on the back. Softens nicely in the glass. 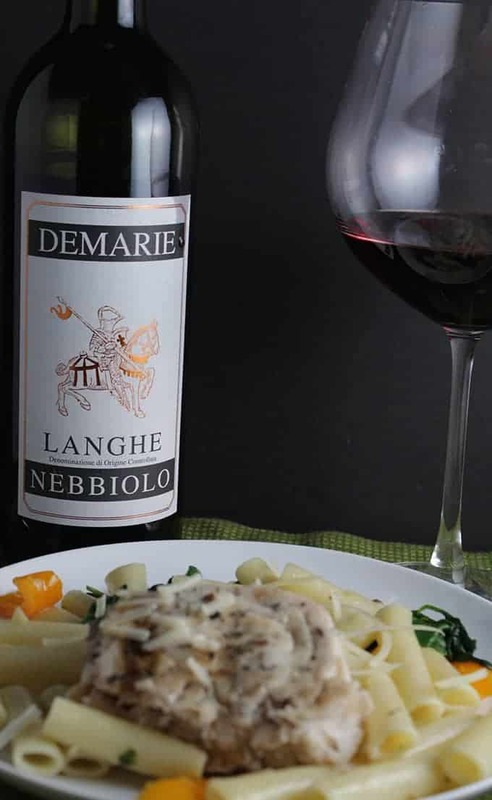 At this price, this food-friendly wine is a great candidate for everyday drinking with a simple weekday pasta meal, such as our Rigatoni with Collard Greens and Sausage. 2011 Chateau de Haut-Serre Grand Vin Seigneur. ($25, 15% ABV) A good Malbec from Cahors in Southwest France, which I first tried at a wine club dinner focusing on that region. Nice blackberry fruit and a bit of charcoal. Yum, I’d like to try the merlot with your brown butter pasta, that looks awesome!